SCHOOL OF WEAK ROCKS A few laughs can’t save this show. One might think that the talents behind Downton Abbey and Phantom of the Opera would be odd choices to make a Broadway musical out of a 2003 movie starring Jack Black. 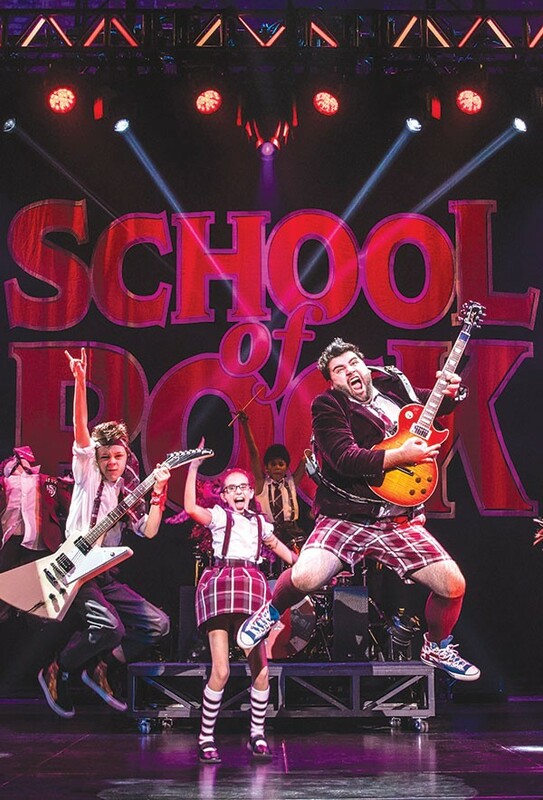 School of Rock, now on the San Francisco stop of its national tour, is Julian Fellowes and Sir Andrew Lloyd Webber's overblown take on that modest film whose charm relied mostly on appreciation of its star. Dewey Finn (Rob Colletti, doing Jack Black–light) has been kicked out of his band, has no visible means of support and is months behind on the rent due his best friend Ned (Matt Bittner). After receiving an ultimatum from Ned's girlfriend (Emily Borromeo) to raise the money or get out, he answers a phone call seeking Ned's services as a substitute teacher. Since subbing obviously requires no skills at all, Dewey decides he can impersonate Ned and make some quick money. It's off to the toney Horace Green Academy where Dewey takes charge of an elementary class whose students have two things in common: they're all musically gifted and their parents all ignore them. Why not turn them into a backup band and enter them in a competition? How long can he fool the stern headmistress (Lexie Dorsett Sharp, doing Joan Cusack–light) and bring his plan to fruition? Well, almost to the end of the show's two hours and 40 minutes, which is about an hour longer than the film took to tell the story, albeit with less music—which isn't a bad thing. Webber's score is his least memorable, as may be this entire production. The characters are all stubbornly one-dimensional. Every adult comes off poorly (except, of course, Dewey) with every parent self-absorbed, every educator an idiot and every child a prodigy. The kids are talented musicians—yes, they play their own instruments—but when it comes to acting, not so much. To be fair, they're onstage a lot, the choreography requires them to jump up and down a great deal, and they spend a fair amount of time moving set pieces. Maybe that's a lot to ask of a group of pre-teens. The best parts of the show, beyond the kids' musical performances, are drawn straight from Mike White's film script. There are laughs, but kids deserve a better School than this. 'School of Rock' runs Tuesday–Sunday through July 22 at the SHN Orpheum Theatre, 1192 Market St., San Francisco. Show times vary. $40–$256. 888.746.1799. shnsf.com.